This album has nothing to do with the oil business and the Ewing family, although if you play it backwards you might find out who shot JR... okay, that's enough of 80'ies TV drama. But we'll stick to that decade anyway, since that's what Bryan Dallas does too. 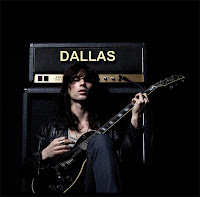 He might be a young(ish) dude but these songs of his are deeply rooted in the late eighties' melodic hard rock: Def Leppard, Bon Jovi, Ratt... but kind of like Reckless Love has done lately, they've been mixed with contemporary sounds and production tricks. To be honest, this isn't nowhere near as polished as Reckless Love, the Dallas sound is much more raw, edgy, almost industrial at times. The multi-talented Bryan Dallas has done most of this on his own, with some additional drumming by Zac Curtis. His vocals remind me a lot of Leppard's Joe Elliott, he sounds similary strained at times, but somehow this "painful" vocalizin' suits these songs. And the songs! These are some of the most infectious songs I've heard lately. The production might not be on "Hysteria" level, but the likes of "Rock You Like A Bomb", "This Love" and "Bring The Light" are hysterically catchy. Def Leppard or Bon Jovi haven't written anything this catchy in the last 15 years, give or take a couple of songs. With "Close My Eyes" Dallas proves that he can pen a tearjerker too - it's a power ballad of the finest order, featuring a gigantic chorus. Bryan's vocal performance is over-the-top, as if he's tearing out his heart right there in his studio. The actual album features 9 songs with 4 songs marked as bonus tracks. Three of them are just as good as the actual album tracks, although with even more unpolished production. The "Neon Blue Mix" of the album track "Miles Away" could've been dropped in favour of another original song, but I'm sure it has its' fans too. Some of these songs have been first released in 2012. Hopefully Mr. Dallas has been busy during the past 6 years and we'll get to hear new music from him soon. 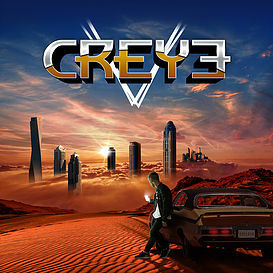 One of the most anticipated debuts this year is here, the first full-length album from CREYE. I knew that this was going to be good, based on their previous EP and a live performance in Malmö, and indeed this is! Superbly produced by Erik Wiss, this album combines 80ies elements with modern-day pop/rock sound. The EP had a bit of a "retro synth wave" vibe and it's still here, only slightly toned down. Art Nation vocalist Alexander Strandell sang on the EP but this album features the vocals of Robin Jidhed. The son of Alien's Jim Jidhed has a great, smooth voice for this kind of material, but I've yet to hear him perform live. The two Creye gigs I've seen so far have been with replacement singers. With 13 songs on the album, there's maybe a couple of songs I would have left as Japanese bonus tracks or something, but that said, most of the others went straight to my "Highlights of 2018" playlist! "Christina", "Holding On", "Never Too Late" and the Survivor-esque "Nothing To Lose" are all classy modern AOR songs, just to mention a few. In my opinion, the band's most potential crossover hit in the making is the balladic "All We Need Is Faith". I don't know what it would take to get this heard by the masses, but I don't see any reason why the huge European fanbase of say, Sunrise Avenue, wouldn't love this song. I truly hope that CREYE is able to break down the barriers and find new fans outside the established AOR community, they deserve it... and the kids need to hear this! Nearly a quarter of a century after his last solo effort, legendary Journey vocalist Steve Perry has surprised many people by coming back to the music scene to fulfil a promise to his deceased partner. So far, so Movie Of The Week, but as we all know Steve Perry is one of the most respected and missed vocalists in the genre, so the excitement and expectation has been at tsunami level. The thing is, have people let their love for the man overcome their critical senses? Well... yeah, mostly. 'Traces' starts off very well with 'No Erasin', a pleasingly upbeat track that is probably the one most liklely to appeal to Journey fans, followed closely by the hauntingly beautiful second track 'We're Still Here', a powerful ballad with a catchy refrain that would have slotted in nicely on the likes of the ballad heavy 'Raised On Radio'. 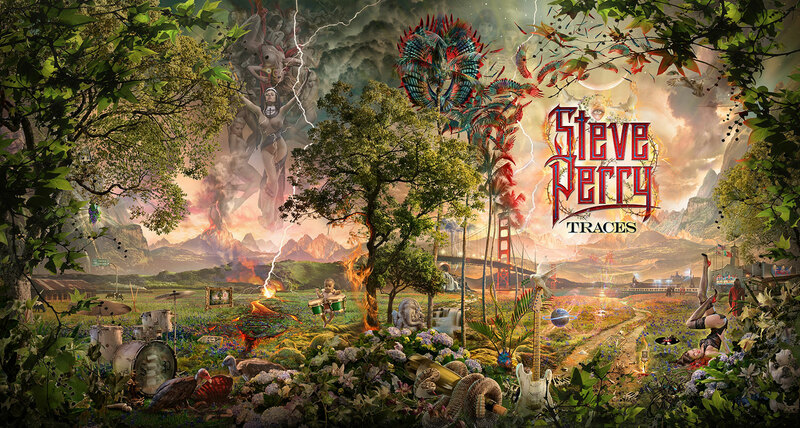 So far, so good, and it's no surprise that these two tracks were promoted ahead of the album release date because they capture what we love about Steve perry's voice. After the initial one-two punch the album gets into a ballad focused groove that has certainly split fans opinions. Whilst I'm not a huge fan of ballads myself I still adore a well written one - for example, one of my favourite Journey tracks is 'I'll Be Alright WIthout You' in all it's wimpy, syrupy glory. So what I'm saying here is I'm no hater, and I fully understand that the circumstances around the album and the age of the man himself were always likely to lend themselves to slower, more introspective songs. The best thing about 'Traces' is, as expected, Perry's vocals. There's a hint of throatiness in there that isn't unwelcome, and it's simply a joy to hear new music sung with this much talent and passion. 'No More Cryin', a mid paced, sorta sleepy track, makes great use of The Voice and is the third of my top three tracks on the album, after the opening couple.On the other side of the coin is the track that follows it: 'In The Rain'. Lyrically, it's heartbreakingly sad, but as a song the structure just makes it a chore to listen to, more a funeral dirge than a track for the masses. A few tracks sit closer to this camp than the 'I Love Listening To This' camp, such as 'You Belong To Me', 'Most Of All' and, to be brtually honest, the final three tracks as well. 'Sun Shines Grey' breaks up the cloying syrup with a more upbeat, catchy refrain, but th second half of the album remains a bit of a slog nonetheless. Whilst I wanted to love 'Traces' and wanted to welcome Perry back with open arms (natch), it's not an album I will be coming back to in full, more an album that will have a few select tracks amputated and added to my playlist, leaving the others to vanish in the mist. There are plenty of people who love the album, but go in forewarned and try to listen to it without rose tinted headphones. It's good, but it's just not as good as I was hoping.